The terms luxury and laundry aren’t often used in the same sentence, but anyone who is tasked with the job knows that a dedicated laundry/mud room is a luxury worth every penny. An addition or remodel that results in an actual laundry room, complete with all the niceties, is one of the best things you can do for yourself. Or whoever does the laundry in your home. 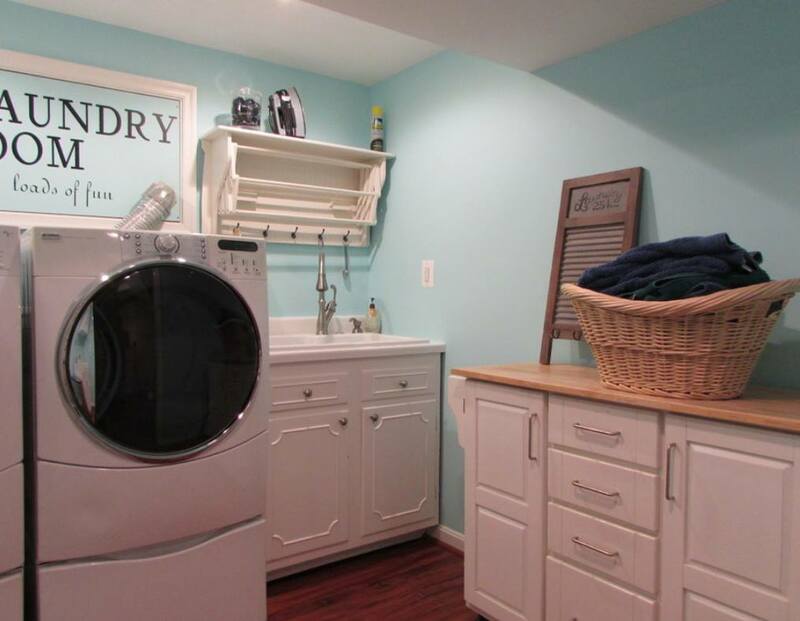 There was a time when the ultimate laundry room merely meant it wasn’t in the basement. Today’s dedicated laundry rooms have come a long way. With shelving for supplies, and bins for both clean and dirty clothing, along with hanging racks, this isn’t your mother’s old laundry room. Even the appliances have changed, offering elevated units with storage beneath, as well as steam and quick settings. Laundry is no longer a set it and forget it enterprise relegated to the basement or an oversized closet in the bathroom. Beautiful built-ins and windows to let in the light are the hallmarks of a luxurious laundry room addition. With fine finishes and cabinetry to complement the rest of your home, laundry rooms are no longer hidden away. Oftentimes coupled with a back entry/mudroom, they’ve expanded in both size and utility. Picture the row of cubbies and hooks for each member of the family along one wall. (Imagine none of that making its way to the kitchen counter!) A quick glance across the room reveals another ten minutes on the cycle, and the long, wooden counter for folding means that clean clothing will no longer be forced into plastic baskets, wrinkled before it’s ever worn. Good design begins with conversation. If you’d like the everyday luxury of your own laundry room, crafted with you in mind, find a quality contractor. Review their work, ask for references, and most importantly, tell them what you want and need. Working together, an experienced builder can offer advice and suggestions on what may work best in your particular space. Get an estimate to make certain you’re both on the same page before work begins. It’s often said that a job is easier to do with the right tools. And that is certainly true when it comes to laundry, but you can make the task more pleasant when you do it in a space you love, that has everything you need close at hand. That is truly an everyday luxury worth having.